Jonah Berele, 27, was pulled to shore from Lake Michigan in Rogers Park Sunday but was pronounced dead, police said. 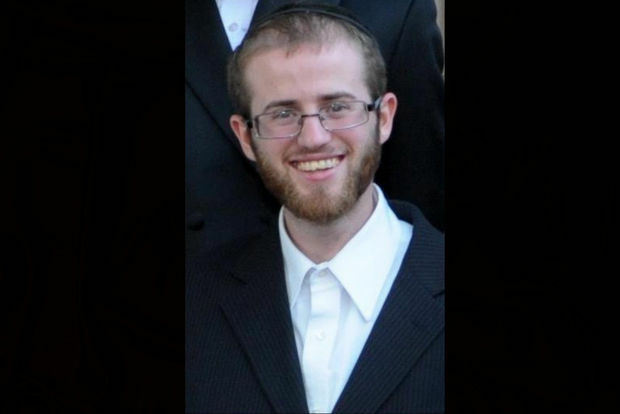 ROGERS PARK — Officials have identified the man pulled from Lake Michigan at Loyola Beach on Sunday afternoon as 27-year-old West Ridge resident Jonah Berele. Berele, of the 2200 block of West Farwell Avenue, was pulled from the lake in the late afternoon and taken to St. Francis hospital in Evanston. He was pronounced dead by officials at 3:13 p.m.
Berele's cause and manner of death are still pending, and police said Area North detectives are investigating. He would have turned 28 on Oct. 22. Kate Kinser, a friend of Berele's, described him as an "exceptional" person, and someone who knew Berele through Friedman Place, a nonprofit community that supports people with visual impairments, said the 27-year-old had "touched the lives of countless" people. According to an online memorial for Berele, his funeral services will be held Tuesday at noon at Star of David Cemetery, 5736 N. Pulaski Road. His family is asking for donations to Doctors Without Borders in lieu of flowers, the website says. "He was a genuinely good person who taught us all how to be true to oneself, compassionate, and giving," Alexander Brown wrote on Berele's memorial page. "He will be deeply missed and fondly remembered."